Grab one in every color! this sun bleached ruffle tank is the perfect addition to your little girls wardrobe. 100 percent organic cotton jersey fabric makes it super comfy to wear, and the coconut button in the center back adds a special touch. 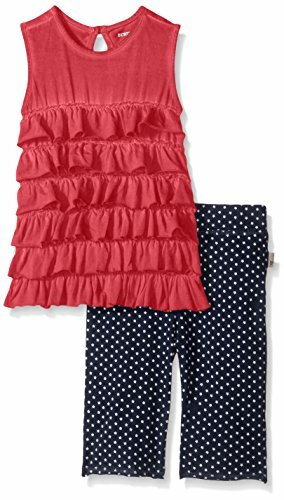 These 100 percent organic cotton star capris are festive and fun for your little girl and come in two patriotic shades. Details include an elastic waistband, contrasting faux drawstring and a raw edge hem.